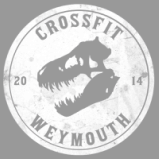 What makes us different at CrossFit Weymouth is the belief in our core values of Community, Progress and Life. We support, push, praise and learn from each other within the unique community that is CFW. However, we also want to reach out and influence the wider community. We will continue to forge links with schools in the area to help support young people in our local community. We are also conscious of our impact on our global community and we are working hard to reduce our carbon footprint by removing single use plastic bottles from the gym and recycling everything we can. CrossFit will improve your fitness in the broadest sense of the word. Head Coach, Mark Sergison, uses his background in school education to ensure learning is central to the CFW experience. You will be coached to acquire new skills and accomplish things that you thought were impossible. This could range from achieving your first full depth squat, to mastering a high skill gymnastic movement like a muscle up or even developing the mindset to allow you to complete a gruelling workout. Best of all, your progress will not be restricted to your fitness. Our members tell us that they have developed new confidence through CrossFit, which is transferable into all aspects of life. CrossFit will make you better at life – whatever that entails. It might be running a quicker 10k on your next triathlon, climbing a tree with your kids, having the confidence to apply for that new job or stepping out onto the floor of your first CrossFit competition. From our CrossFit Kids to our Masters athletes, CrossFit will improve your health and fitness for life!